Living next to a busy road, means I’m right in the target market for the Marpac Dohm Sound Conditioner, so I was disappointed it did so little for me. 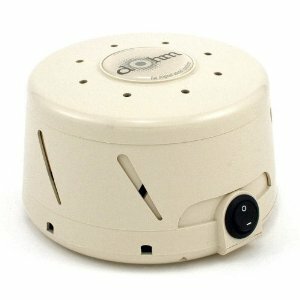 On its face the Dohm Sound Conditioner is a simple device that generates white noise which in turn helps you tune out annoying background sounds like traffic or noisy neighbours. Many people swear by these devices as the only way they get a good night’s sleep. The Dohm Sound Conditioner particularly differentiates itself by making a mechanical sound, rather than a canned digital one, and by you being able to adjust the sound to one that suits you best. It does this simply and neatly. The problem for me was that no matter what I did it reminded me of the fan on my computer and I found it more intrusive than the background traffic hum. While this appears to be a personal issue, given all of the overwhelmingly positive reviews this device gets on the Internet, I just could not come to love, or even tolerate, the Sound Conditioner. My conclusion was that it might be more use with noisy neighbours than with traffic noise. The Sound Conditioner is a neat package which hides unobtrusively on the floor. Adjustment just involves rotating the upper cowl until you find a tone you like so it really could not be simpler. The device did, sort of inevitably, get slightly warm after a while but there was no discernible vibration from the constantly spinning fan. For $138, this could be your answer to noisy neighbours or barking dogs but it probably depends very much on your personal reaction to noise. We tried a review unit from the lovely folk at Expansys.